Our stunning Finesse Moor is machine woven of 100% Olefin and designed to go indoors or outdoors, gracing your kitchen or deck. Designer Genevieve Gorder describes her rug perfectly: “A favorite dhurrie pattern has now been made to play outside. With light neutral bases, and clean, lighter stroke graphic patterns, Moor outdoor will pop in any natural landscape.” UV protected. 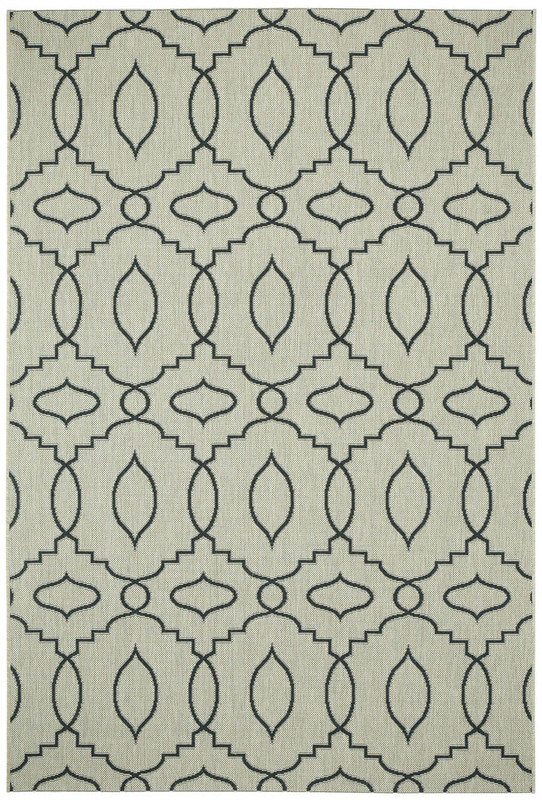 The Moor style, a member of the Finesse Collection, is a olefin, outdoor rug design from Genevieve Gorder and Capel Rugs. Finesse-Moor rugs have a machine woven construction.